In a world saturated with marketing content and advertising campaigns everywhere you look, consumer trust is evolving and gathering online hotel reviews for your property are becoming increasingly important. If you want to preserve the trust of your guests, you need to evolve with the trends. According to web experts ‘Bright Local’, a staggering 97% of consumers read online business reviews in 2017 and 85% trust online reviews just as much as they do personal recommendations. A recent study conducted by TrustYou in conjunction with New York University and the Preston Robert Tisch Center for Hospitality and Tourism, investigated the relationship between the average review score of a hotel, and the price that travellers are willing to pay. The study revealed that 76% of travellers are willing to pay more for a hotel with a higher review score, with all other factors held constant. In fact, they will pay an average of 5-9% more for a hotel that has a 5% higher review score. That means, if you can work to beat your competitors’ average online rating you will be able to charge a higher nightly rate without deterring potential guests! For years business owners, marketers and web developers have been striving to uncover the secret to mastering Google’s legendary ranking algorithm. Well, it turns out consumers aren’t the only ones that trust online reviews…Google does too! SEO firm, Yoast, has revealed the 6 ways in which Google evaluates online reviews to calculate ranking positions in local searches. The most heavily weighted aspects are volume, content and diversity of reviews. That means if you have more online hotel reviews with a positive sentiment across multiple review platforms (google reviews, TrustYou, OTA’s, metasearch sites etc.) you will rank higher than your local competitors. Surprisingly, average rating, reviewer reputation and frequency of reviews were revealed to be less important (although still noteworthy). Strong guest relationships are undeniably important for satisfaction rates and also increase the likelihood of return business. Online hotel reviews provide a unique opportunity to foster the relationship after the guest has checked-out. Simply requesting feedback from the guest shows them that you value their opinion. Doing so will also quickly improve your online hotel review profile, with approximately 68% of consumers completing reviews when asked (BrightLocal, 2017). Once the reviews start rolling in, you have an even greater opportunity to demonstrate how much you care about your guests. TripAdvisor states that 4/5 guests believe hotels who respond to their reviews care more about them than those who don’t. However, this applies to both positive and negative feedback. 85% of guests have a better impression of a hotel if they see management responding in a thoughtful way to negative feedback. 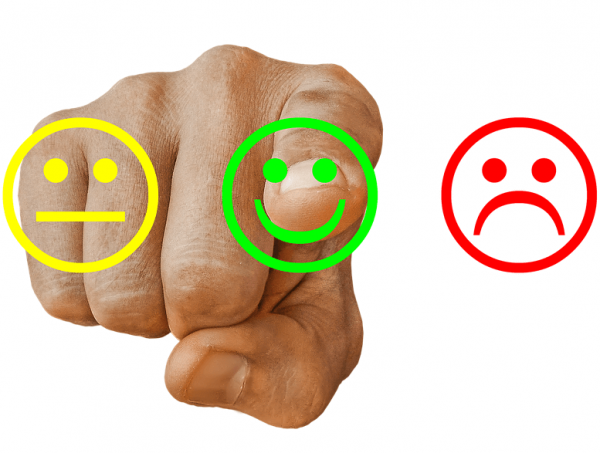 If you’re looking for best practice tips on how to respond to you reviews, check out our blog: How To Respond To Google Reviews. That’s where our HiRUM Marketing team can help! We will manage your Google reviews for you, responding to positive reviews and helping you respond appropriately to negative reviews. If you’d like more information about our HiRUM Marketing Reach Program click here or email us at sales@hirum.com.au.